You no longer have to ride all the way to a café to have an iced tea to refresh yourselves. You can say bye to those hectic travels and the cost of buying an iced tea from a café as we can have them at home under our own roof. The portable iced tea maker is definitely the device that you cannot resist having at your home. As we all know, these iced tea makers are not so large, they just come in a size of a simple jar/jug. Most of them come with an attractive price and excellent features; however, getting yourselves the best-iced tea maker is not that simple. You might not realize it now but would seriously regret once you start searching for the best one on the market today. You would get confused on how to select the best iced-tea maker, do not worry, I would help you with the basic things to know and the factors to consider which would eventually help you select and purchase the best-iced tea maker on the market currently. See our review on Best Portable Ice Maker. It would be a serious waste of time if I explain what an iced tea maker is, but you should know the fact that, the latest iced tea makers have features that the old devices did not have, they are faster and easy to use. Here are the factors that you should consider and you should remember while purchasing an iced tea maker. 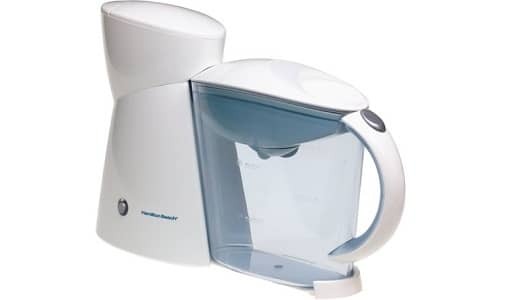 Capacity – As I mentioned in the beginning, iced tea makers come in a different capacity, the factor capacity here refers to the total iced tea holding capacity of the iced tea maker and not the size of the device. If you expect the device to supply iced tea for just 2-3 people it is recommended that you purchase a product with a capacity less than 2.5-quart and if you need iced tea for more than 3 people or if the demand is more, consider purchasing an iced tea maker of capacity more than 2.5-quart. Brewing time – Most of the people consider this factor to be less important and just blindly prefer purchasing an iced tea maker that takes only less time to brew iced tea. They could be satisfied with the iced tea made in such products. However, according to experts, if you want to enjoy the real flavor, essence, and the natural taste of an ice tea, you should possess a device that takes more time. Experts recommend ice tea makers that take comparatively more time that the so-called fact brewers. Now with this being told, it is entirely based on your personal choice on how you want the iced tea to be. Control specifications – I had already mentioned in the beginning that today’s iced tea makers have different features than what it used to be a year before. We have an automatic device with timers that can prepare your iced team at a specific time daily. Apart from this, an iced tea maker should possess these necessary control option and features. Not all iced tea makers come with these features, but, if you prefer to own the best device, these features/options are mandatory. Ease of cleaning – An iced tea maker might come with metallic parts, which could rust under certain circumstances if left wet for a long time. Therefore, it is very important that you clean, rinse, and then dry it to prevent rusting. Cleaning is not as easy as you think, some people prefer cleaning all their utensils and kitchen cookware in a dishwasher, if you prefer doing the same with the iced tea maker, then check the product specification and make sure your product comes with dishwasher-safe parts. 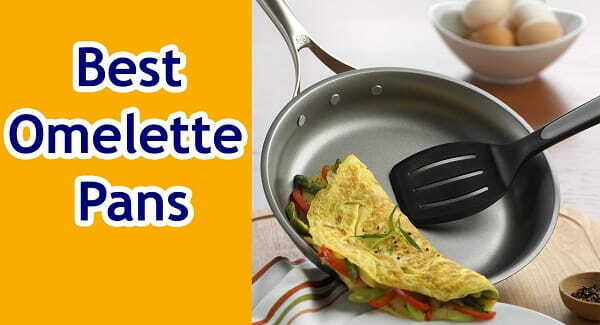 Not all products are dishwasher safe. Ease of use – Tons of features on your iced tea maker might sound exciting, but in practice, it is not. The more features the manufacturer incorporates into your device, the more complicated the inputs and the controls would be. If you are considering purchasing the iced tea maker for your personal home use, avoid the product with excessive features and prefer the product with only the features you want. Here is the list of 5 best iced-tea maker we would like to recommend considering the factors mentioned above. 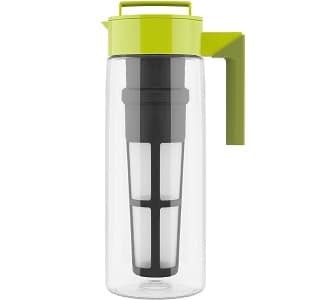 This product from the brand Mr. Coffee can be used to make both coffee and iced tea. The manufacturer offers a 1-year limited warranty on this product. Cleaning this product is not that easy, you need to purchase a separate brush for cleaning the interior. 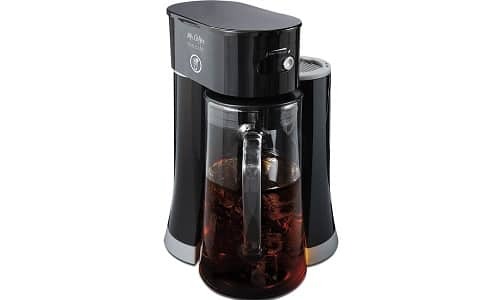 This iced tea maker from the brand Mr. Coffee could be an attractive addition to your kitchen settings. The whole device looks attractive. 5-quart brewing takes just minutes. 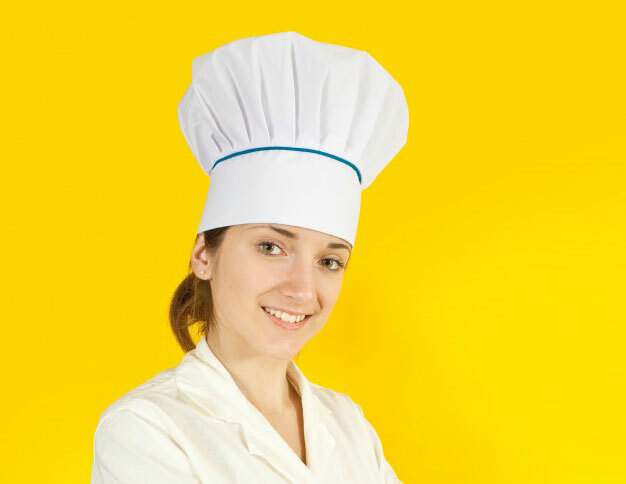 The manufacturer provides a 1-year limited warranty on this product. The glass pitcher quality is not as good as it demands. 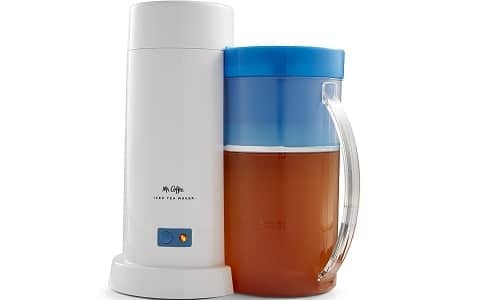 This 2 quart iced tea maker from the brand Mr. Coffee comes with several attractive features. 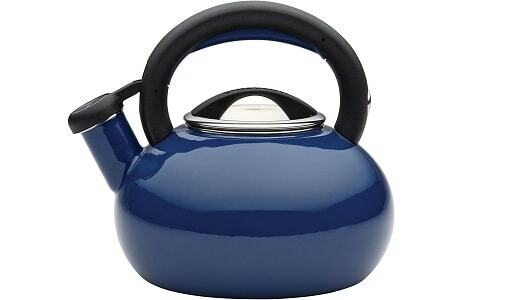 The manufacturer offers a 1-year limited warranty of the product. The manufacturer has also incorporated programmable cleaning cycle in the product. Can brew iced tea from both loose tea and tea bags. The brew strength is not consistent in each cycle. 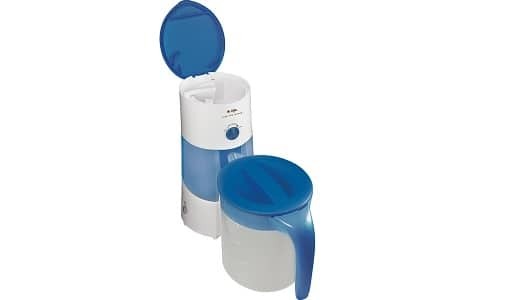 This iced tea maker from the brand Takeya is a unique product that comes with features second to none. The infuser incorporated in this device is fine mesh type that makes it suitable to brew tea from loose tea leaves and tea bags. 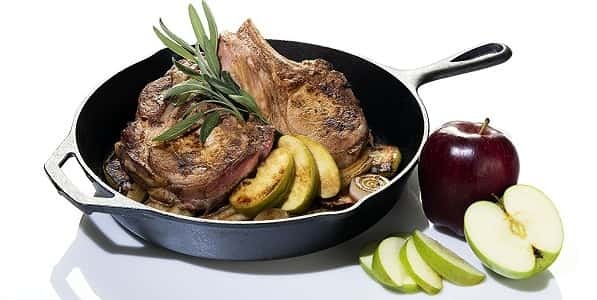 The product comes with a glass pitcher, which is airtight, and spill proof, suitable enough to seal the flavor and essence. The pitcher lacks the design to prevent the iced tea from spilling while pouring to glass or any other utensils. This Hamilton Beach manufactured iced tea maker has a unique design. The whole product looks different and attractive. The manufacturer has incorporated an auto-off feature to shut off the device after each cycle. A few customers have reviewed the product to have a low quality power button that could possibly break after frequent use. If you suspect the parts to have any hard water minerals to be deposited on it, consider soaking them in warm undiluted vinegar for almost 20-minutes, then rinse it thoroughly, and dry it before reassembling. An iced tea maker has consistently managed to acquire its position in the list of most popular electronic appliances in demand at a summer season. 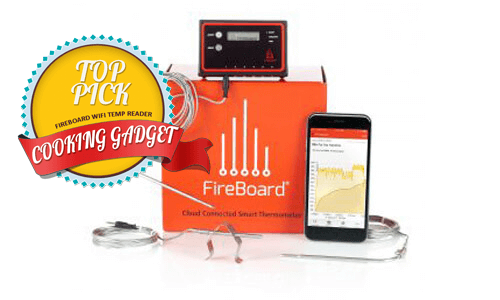 Getting yourself the best product can be overwhelming as the market is flooded with numerous models, to make things easier consider buying the products listed above and if you prefer to purchase some other model, consider the factors mentioned above.